The photographs were taken on February 4th. This morning we had -22 °C, but there was less wind than yesterday. 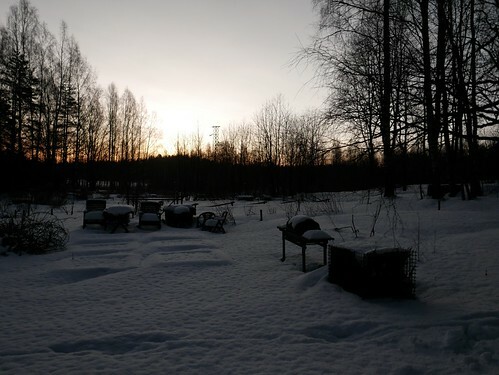 In the afternoon it warmed up to -13 °C. Very fine colors in the 2nd image, Juha! Thanks! 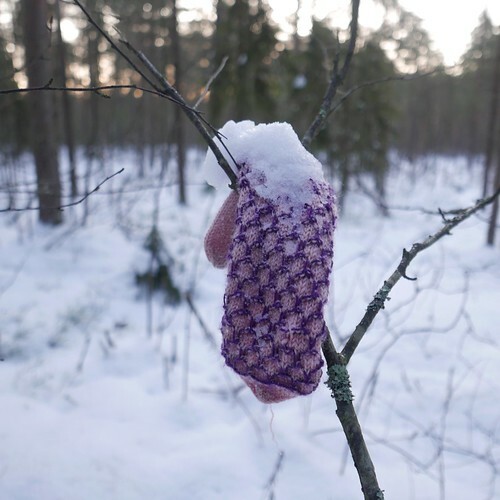 It is a pity that the woollen glove had got lost, but it provided a nice subject for a photograph.